Whether your guests are traveling for business or pleasure, you want their accommodations to be the least of their worries. But when your website is written in a language your guests aren’t comfortable with, that can pose a problem. In fact, one study found that 56 percent of consumers thought the ability to obtain information in their own language was more important than the actual price. What’s the best way to combat that problem? Auto-translate! HelpSquad’s auto-translate function (not to state the obvious) automatically translates any foreign chat requests in real time. This software is offered in numerous languages, so no matter your guests’ native languages, they will always have the comfort of familiar language to give them a great impression of your business. This will give guests a great first impression of your business, help avoid miscommunication, and widen your reach. It’s just another way HelpSquad’s live chat provides excellent customer service for hotels and resorts. Have you ever had a frustrating experience while trying to find information on a website? Chances are that it negatively colored your impression of the business, and it may have even caused significant stress. According to a survey by Wyndham Vacation Rentals, stress causes 37 percent of travelers to cancel or delay their trip, and some of that stress may come from having a difficult experience on a website. Now imagine you can’t even get information in your preferred language—talk about losing business! HelpSquad’s auto-translate feature gives your guests a great first impression of your business by facilitating a smooth, stress-free experience. Rather than having to search multiple tabs and subpages for information, they can get it instantly from a live chat agent. And rather than having to deal with their second language, they can have a real conversation in the language they’re most comfortable with. Once your guests have had their questions answered and ended the conversation, they will receive a transcription of the conversation in their email inbox. This allows them to review the conversation, solidifying their impression that your business is helpful and accommodating. Miscommunication is rarely innocuous. If guests aren’t able to communicate in their preferred language, they may misunderstand something they’re told and, by extension, misunderstand the good intentions of your business. Whether guests are asking about price, amenities, or anything in between, it’s important that they are able to communicate clearly. HelpSquad’s auto-translate feature keeps communication clear so that your guests understand both the facts about your business and your underlying good intentions. As part of the hospitality industry, you have the potential to reach people from all over the world, but whether or not that happens is based on how positive an experience your guests have. Auto-translate is a great way to help your guests have a positive experience with you. They’ll share that with their international friends, and you’ll see your customer base expand. Auto-translate offers instant chat translation in numerous languages, so your guests will always feel comfortable interacting with your business. This makes your business look good, helps avoid miscommunication, and widens your reach. 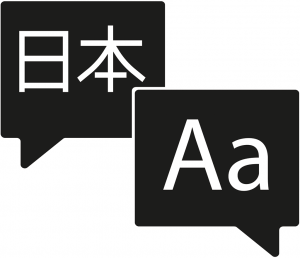 Try auto-translate as part of HelpSquad’s live chat service—the benefits are magnifique!